Spring has sprung, the sun is shining, and the season is in full swing! It’s time to get out there and start enjoying spring’s greatest gifts, the flowers. You could take a stroll through your local park, do some work in the garden or go where the flowers are the most spectacular… the South African botanical gardens, a plethora of our nation’s natural beauty. With botanical gardens situated across the country, there is little excuse not to go and lose yourself in the splendour of nature for just a while. The most famous of these botanical gardens is arguably the Kirstenbosch National Botanical Garden, situated in Cape Town. Set against the eastern slope of Table Mountain, the Kirstenbosch gardens have two separate areas, the cultivated gardens and the protected area which is home to indigenous fynbos and forest. The cultivated garden is home to an array of flowering species of plants, while in the protected area one can see the King Protea, which occurs naturally there, in full flower. One of the truly amazing parts of the Kirstenbosch botanical garden is the Afromontane forest, which is awe-inspiring when walking through. Sticking to the coastal botanical gardens we move on to one of the lesser-known treasures in South Africa, the Durban Botanic Gardens. This is the oldest surviving botanical gardens in South Africa, having been established in 1849. The highlight of these gardens is without a doubt the Orchid House, which is home to several different species. The best time to visit the Orchid House is without a doubt during the spring months, September through November. Moving away from the coastal cities we find ourselves in the capital of South Africa, the Pretoria Botanical Gardens. Surrounded by urban development, this is a much-needed refuge from the hustle and bustle of modern life, not just for us, but for the wildlife that occurs there. There are over 220 recorded species of birds meaning that during spring the garden comes alive to the sound of thousands of bird calls. Stroll through the gardens and you can climb to the top of a ‘koppie’ from which you can view the entire gardens and the surrounding city, a scene that sets alight the senses with sound and colour. The last botanical garden on this list is the Johannesburg Botanic Gardens. Placed just outside the city centre, the gardens are home to over 30 000 trees, 4500 species of plants, an arboretum, a Rose Garden and Herb Garden. The gardens are also frequently the venue for concerts and live performances. This article by no means covers all the Botanical Gardens within South Africa, but rather the ones that, for many South Africans, are close to home. The gardens are perfect for spending a beautiful spring or summer day, whether you are taking the entire family on an outing or you wish to take that special someone on a romantic picnic, the gardens provide you with the perfect setting. 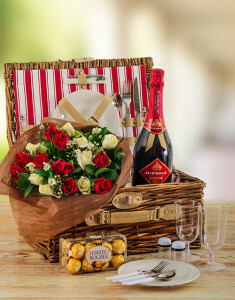 NetFlorist offers a range of fully stocked picnic baskets, complete with red roses, champagne or a beautiful bottle of red wine that makes those romantic moments so much easier to come by. For those family moments, NetFlorist also offers healthy fruit baskets and gourmet hampers that will have the whole family smiling. We realise that it is not always possible to get away for the day and take that stroll through the gardens, so why not send that special someone a piece of the garden instead with our stunning flower bouquets and flower arrangements. From proteas and orchids to lilies and roses, NetFlorist will deliver their own personal piece of the spring bloom, right to their door. 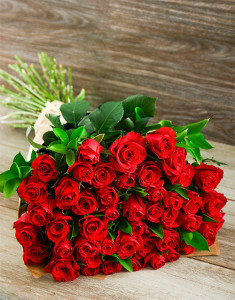 NetFlorist delivers flowers nationwide and to all the major cities; Johannesburg, Cape Town, Pretoria, and Durban.